I've heard people say this book was so special and changed their lives. But really, I couldn't like it at all. After I finished listening to this book, I was left with a lot of questions, the most important one: What did I just read? I know there is probably a lot of subtext in this one, but for me it wasn't working. It felt as a boring tale that was too long, even though it's not a big book. I felt no connection with the characters or the story. I wanted to like it, I wanted to see something special in it, but I couldn't. 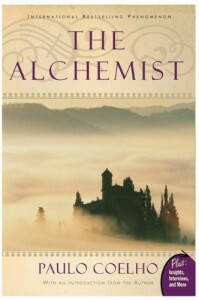 I was disappointed, and have not yet tried to read another book by Paulo Coelho.